Pavement Thickness Evaluation of the I-93 Viaduct North of Boston - Infrasense Inc.
Infrasense completed a subsurface pavement structure investigation of both directions of a 1-mile long viaduct on Interstate 93, just north of Boston. This viaduct, adjacent to the Leonard P. Zakim Bridge, leads directly into Boston, so minimal traffic disruption of this corridor is a priority. 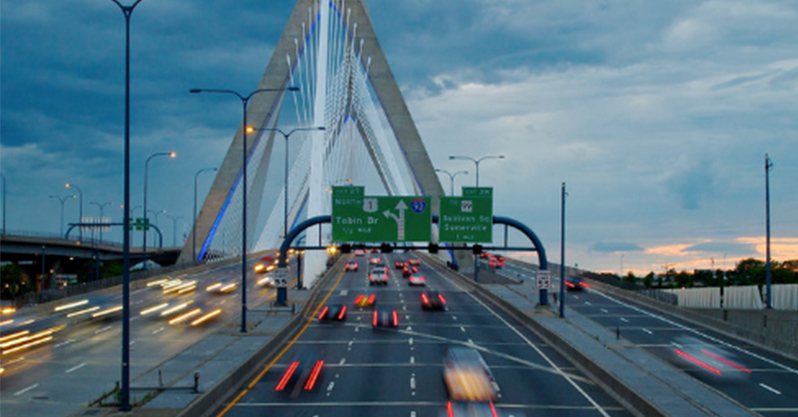 Infrasense used a high-speed ground penetrating radar (GPR) survey to detect the asphalt layers in each driving lane and shoulder of the viaduct without disrupting normal traffic flow. The results of this investigation were delivered graphically in the form of color contour thickness maps, which will be used to plan future resurfacing of the viaduct. 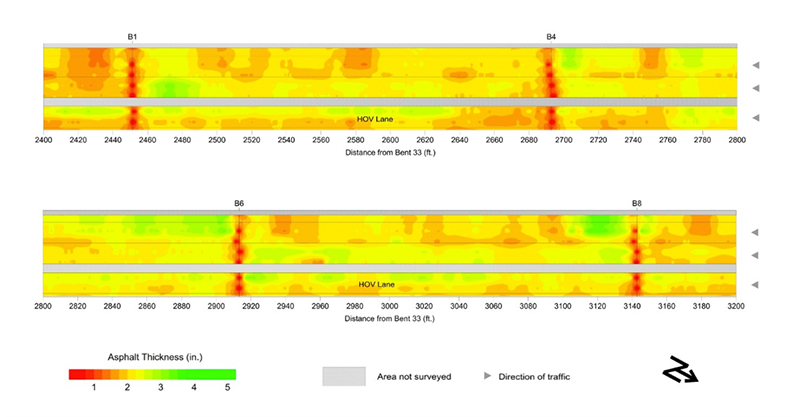 The GPR survey provided more detailed information than traditional coring methods without the closure of any lanes or disruption of any traffic.